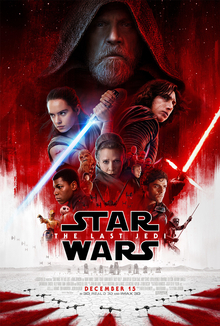 If the list is about my personal favourite movies, The Last Jedi will be right up there, in the Top 3 for sure. But I have to take into consideration the quality of the film, so here it is. This film is nowhere near perfect, with some humour that didn't really hit, and some sequences which drags on too long. But overall this remains a solid Star Wars movie, with great characters and some very memorable & amazing sequences. There are some sequences which are just visually stunning, and some which are just exciting to watch. And all this makes for another solid entry in the Star Wars saga of the new generation. When people mention of a biographical film, I tend to think twice about it. But this film employs a good blend of fast-paced editing and documentary style sequences, and it is a lot of fun. 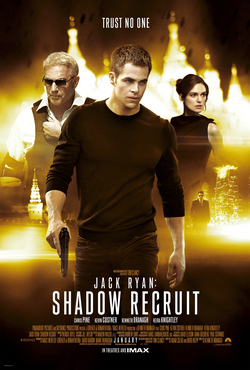 I really have to credit director Doug Liman for approaching it this way and crafting an excellent & fun way to watch & understand how this character grew from being a normal airline pilot to one of the drug cartel's best smugglers. And Tom Cruise plays this man Barry Seal in such a way that is both fun & charming. This is one of those rare films that got me hooked into a real life story. And this is the best MCU film of the year. Don't get me wrong, I really love the other two as well (they are in the list for that reason), but I feel that overall this is a more complete film. The other two have something that's not that good or slightly lacking, but this one is great all around. It has great characters, great action, great humour. It is not a particularly special or memorable film, but its all round quality makes it a complete summer blockbuster. On the other hand, this film isn't your usual blockbuster flick, but it feels special. This film brings back a lot from the classic original Blade Runner, but expands the universe and the story in such a way that makes the original more meaningful. The visuals are particularly beautiful and the overall story is great. 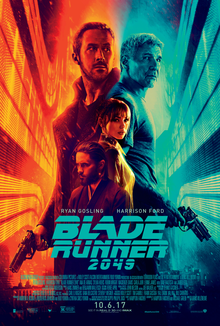 The pacing is slow (and the film is long), and like I said, is not your typical popcorn blockbuster, but what it is is a perfect Blade Runner sequel. Another in this list which is more of a historical drama. But this one in particular feels way more special for a few reasons. The first is that the performance of Gary Oldman as Winston Churchill is just exceptionally good such that he brings out both the strength yet the confusion/weakness of the man...with both the emotional side and the humorous side also in display. And to carry from that, the second reason is that there is perfect balance between the dramatic tension and the humorous moments, and that makes the film engaging and fun as it delivers a well written story. And finally, just overall, this is a high quality film that is well written & directed, and it certainly is a great film to watch. The definition of a true sequel. The film takes everything great from the first film - the fun humour & fast-paced action sequences are all on display again. But more than that, this movie takes the story to the next chapter which feels bold but right. It properly makes use & references the events of the first film, and because of how this plot unfolds, the ending makes it such that there is kind of a closure of story for the characters which began from the first film. A proper sequel, but more importantly, a properly fun film to enjoy. This film also feels like a complete blockbuster. But it ends up higher in the list here because it just feels a little more special. For one, the visuals and the setting look particularly stunning, considering that the locations include a mythical island and the time period is set during World War 1. 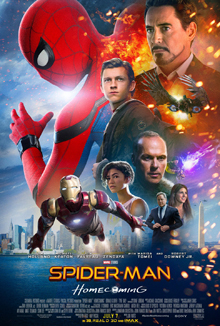 Put into that some great characters with a lot of funny (and other times, emotional) interactions, some great story & moral message, and some brilliant action sequences, it becomes one hell of a comic book film.